The culprit, and the path that led to these crimes, is a story of twenty-first century America. Washington Post reporter Monica Hesse first drove down to the reeling county to cover a hearing for Charlie Smith, a struggling mechanic who upon his capture had promptly pleaded guilty to sixty-seven counts of arson. But as Charlie's confession unspooled, it got deeper and weirder. He wasn't lighting fires alone; his crimes were galvanized by a surprising love story. Over a year of investigating, Hesse uncovered the motives of Charlie and his accomplice, girlfriend Tonya Bundick, a woman of steel-like strength and an inscrutable past. Theirs was a love built on impossibly tight budgets and simple pleasures. They were each other's inspiration and escape...until they weren't. Though it's hard to believe today, one hundred years ago Accomack was the richest rural county in the nation. Slowly it's been drained of its industry--agriculture--as well as its wealth and population. In an already remote region, limited employment options offer little in the way of opportunity. 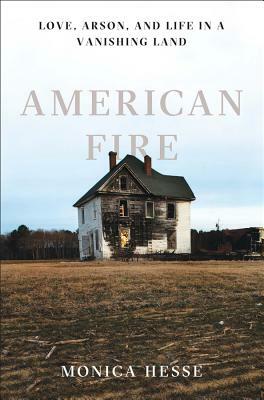 A mesmerizing and crucial panorama with nationwide implications, American Fire asks what happens when a community gets left behind. Hesse brings to life the Eastern Shore and its inhabitants, battling a punishing economy and increasingly terrified by a string of fires they could not explain. The result evokes the soul of rural America--a land half gutted before the fires even began.